The Waze community will also benefit from two new features. First, the Android and iOS versions of the app have been updated with Google Search. 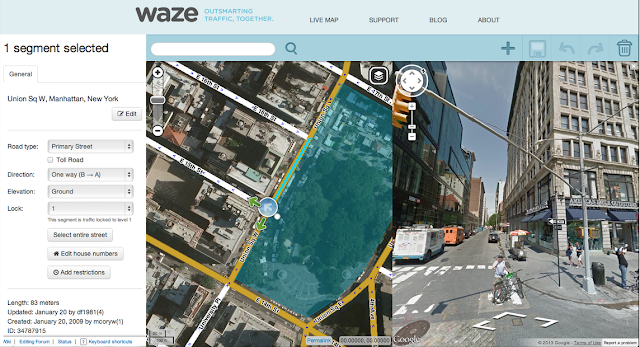 Wazers will now have access to even more search results when navigating. Google Search joins other search providers making it easy to find favorite businesses and any local address. In addition, after a successful beta test, the Waze Map Editor now includes Google Street View and satellite imagery to build out the map and make it easier to correct map errors reported by the community. For more information, visit the Waze blog. 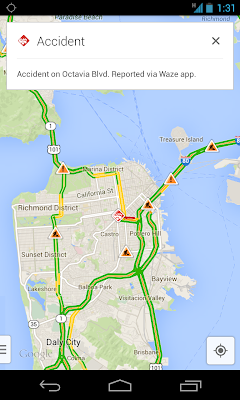 We’re excited about today’s updates and will continue to bring together the best of Google Maps and Waze. 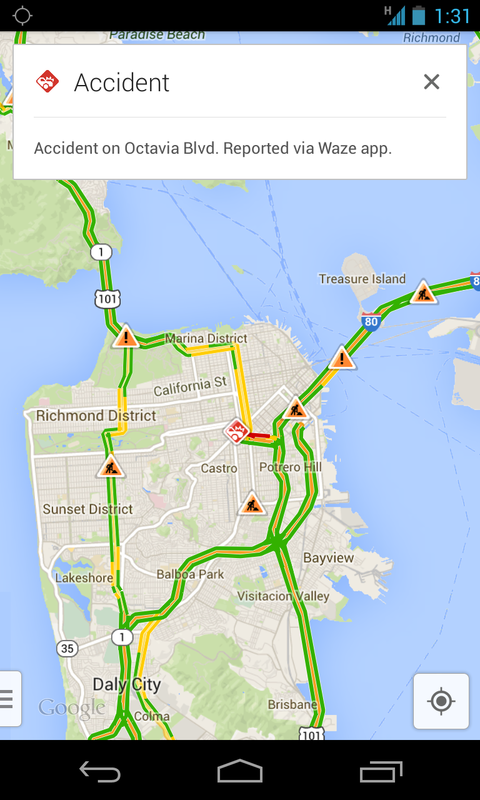 Users of Google Maps for Mobile will now benefit from real time incident reports from Waze users. This means when Wazers report accidents, construction, road closures and more on Waze, the updates will also appear on the Google Maps app for Android and iOS in Argentina, Brazil, Chile, Colombia, Ecuador, France, Germany, Mexico, Panama, Peru, Switzerland, UK and the US.